Domain 12 is bringing new office space to the Domain. 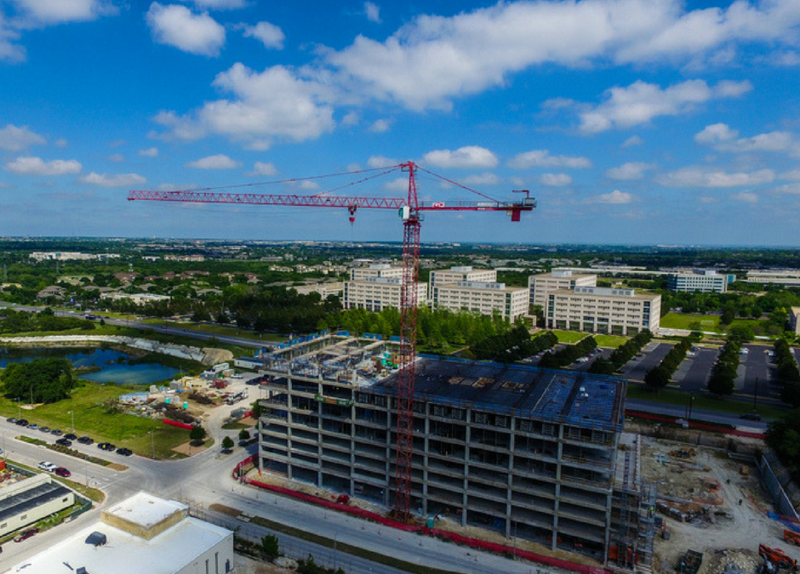 The Austin Business Journal reports it will be the tallest building in the Domain when complete. Domain 12 will be 320,000 square feet over 17 floors making it one floor taller than the HomeAway building next door. Eight of those floors will be devoted to parking, with nine floors of offices on top. TIER REIT, Inc., who is developing and managing Domain 12, is the biggest office landlord in the Domain. They have 1.2 million square feet and could develop as much as 4.2 million square feet in total. There are also two more 11 story office buildings in the works at the Domain. There’s a lot of demand for office space in the area. Rent is approximately $20 less per square foot than in downtown Austin. Employees who work at Domain 12 will have a lot of options for shopping, lunch, and afterwork drinks or dinner. Classic and crisp. The white shirt is the foundation of any timeless wardrobe. Link in bio to shop. Theory is a New York based fashion company that focuses on high-quality, well-tailored pieces. Their focus is on classical pieces that never go out of style. Raven and Lily employs over 1,500 at-risk women in 10 developing countries. These women create the beautiful beautiful clothing and accessories featured in their local store near Domain 12. They pay these women a living wage to help them escape poverty and provide for their families. Velvet Taco works for lunch right through to late night snacks! Near Domain 12, Velvet Taco opens at 11am and is open until 4am on weekends. Their Spicy Chicken Tikka taco is not to be missed. This Italian restaurant is a great place for dinner with friends, a date, or even clients! You can grab pizza, classic Italian dishes, unique cocktails and more. Come by on the weekend for $2 Bellinis and Mimosas. TGIF! Also, we’re in the running for Austin American-Statesman's Best of the Best! Today is the last day to vote so please pick us under Beauty & Health! We're listed under Best Spa/Medical Spa & Massage. Link in profile! Need a pick me up after a rough day at work? Viva Day Spa can give you a facial, massage, mani/pedi and more! You’ll walk back to work at Domain 12 a brand new person after a few minutes in Viva! Want to live the Domain lifestyle? Our apartment locator services can help you find your dream apartment!